HOD UV treatment system at Parker DamBiofouling of hydropower facilities is an issue along the lower Colorado River. It costs significant amounts of money to mitigate and could worsen with the continued spread of biofouling species. However, a team of researchers has developed a solution that could prove very beneficial to hydropower facilities looking to mitigate damages associated with biofouling. Bureau of Reclamation biologist Sherri Pucherelli collaborated with researchers Renata Claudi and Tom Prescott from RNT Consulting Inc. to study potential biofouling prevention methods to utilize throughout western water systems. Their research was funded by Reclamation’s Research and Development Office and was published recently as part of the proceedings of the 20th Annual Conference on Aquatic Invasive Species. Biofouling occurs when invasive organisms like quagga mussels and colonial hydroids block pipes and other underwater surfaces. 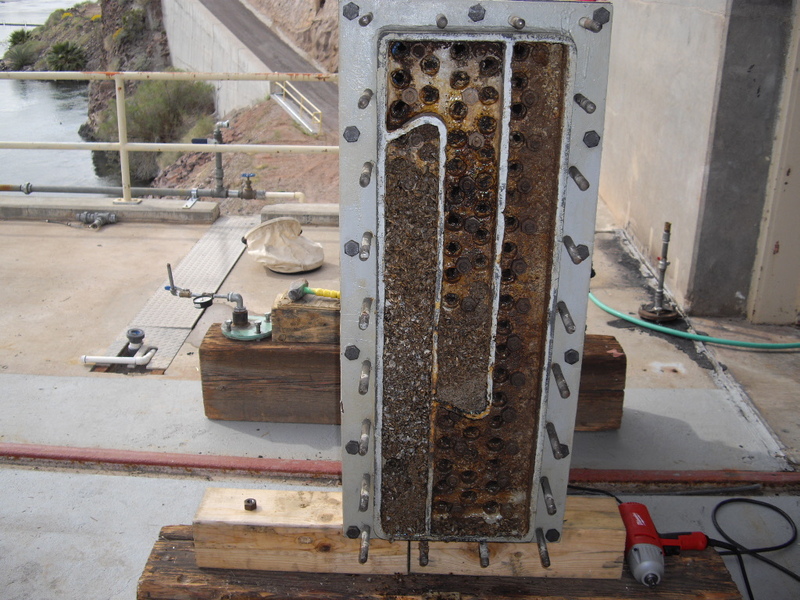 Along the lower Colorado River, reservoirs and hydropower facilities are plagued by these biofouling species, resulting in costly maintenance and repairs. Due to the damaging impacts associated with the presence of these species in water systems, Reclamation and RNT Consulting Inc. have studied the effectiveness of UV treatment for mussel control since 2010. As a follow-up to earlier research, the team designed a study to monitor the impact of hydro-optic ultraviolet light systems on reduction of biofouling in generator cooling systems at Parker Dam in Arizona. To conduct their study, the team began monitoring the effectiveness of HOD UV installations on four main turbine cooling water lines and a raw water supply for the onsite water treatment facility in place at Parker Dam. The team monitored the impacts of HOD UV on biofouling species by measuring the combined dry weight of dreissenid mussel, freshwater sponge, colonial hydroid and bacterial settlement on plates in bioboxes downstream of the HOD UV units. The team then compared the results with data collected from the untreated, identical biobox upstream of the HOD UV installation. At the same time, the team monitored the overall performance of the HOD UV units to ensure they were operating effectively while also observing whether or not the presence of the HOD UV was reducing maintenance requirements for the dam’s generator cooling systems. “There were several months wherein which the dose of HOD UV was at about half of its targeted rate, and there were periods of time in which the bioboxes were contaminated with untreated water,” said Pucherelli. 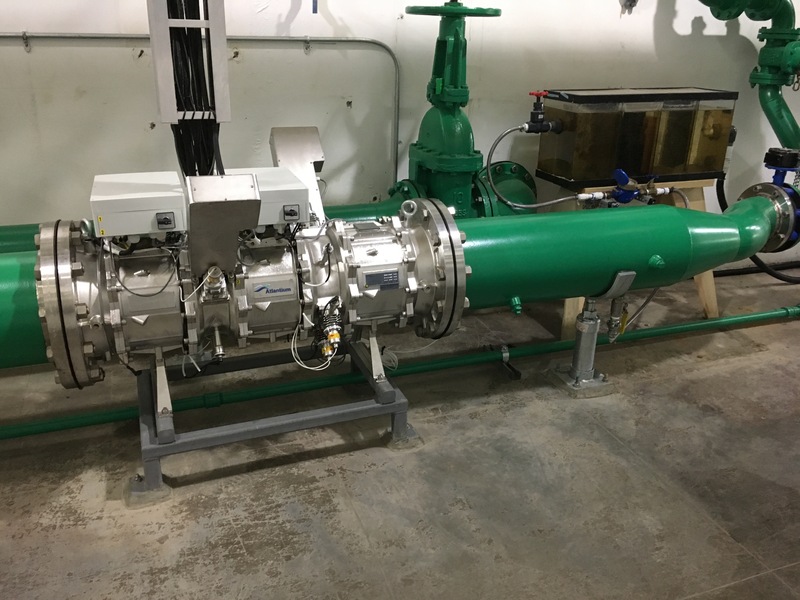 “In light of these unforeseen study conditions, we were both surprised and excited to see a consistent reduction in overall mussel settlement and bacterial sludge formation.” The benefits of the HOD UV solution were felt immediately. 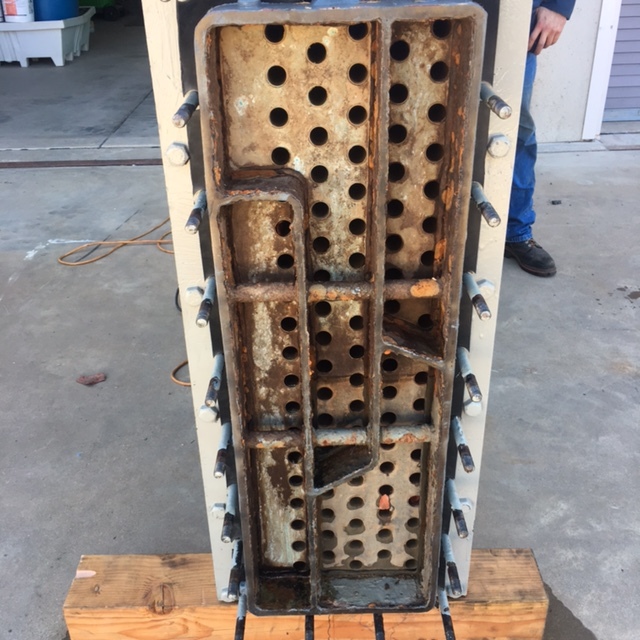 Previously, Parker Dam had spent about $80,000 per year to remediate maintenance issues caused by biofouling in the dam’s generator cooling systems. After the installation of the HOD UV systems, maintenance needs diminished significantly. The positive results achieved in this study study and in previous studies have increased confidence in HOD UV treatment for biofouling reduction in generator cooling systems. In fact, Hoover Dam is in the process of preparing to install HOD UV treatment on each of its generator cooling systems. 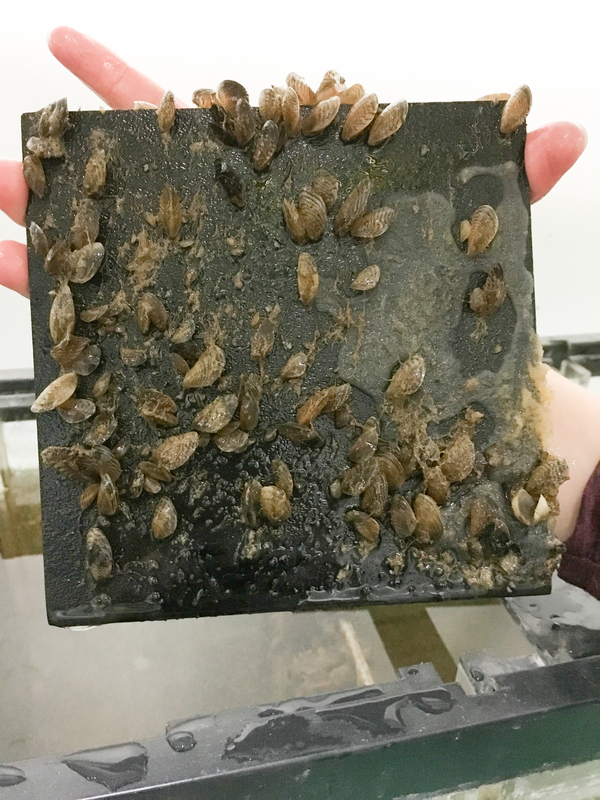 To learn more about how Reclamation is combating invasive quagga and zebra mussels using HOD UV installations, visit: https://go.usa.gov/xPhK9.